Manchester United gaffer Jose Mourinho has reportedly hinted that the club could re-sign Zlatan Ibrahimovic once he has recovered from injury. United confirmed the Swedish forward’s release at the start of the transfer window, but a short-term contract for the 35-year-old could be on the table. Ibrahimovic had suffered a serious knee injury last season, during United’s Europa League matchup against Anderlecht in April, forcing him to the sidelines for at least the whole of 2017. Therefore, the Red Devils dropped the idea of extending his contract for a second year. The Premier League giants have since brought in Romelu Lukaku from Everton for £75 million as Ibra’s replacement. But in spite of that, it is now understood that United are keen on getting the veteran striker back. 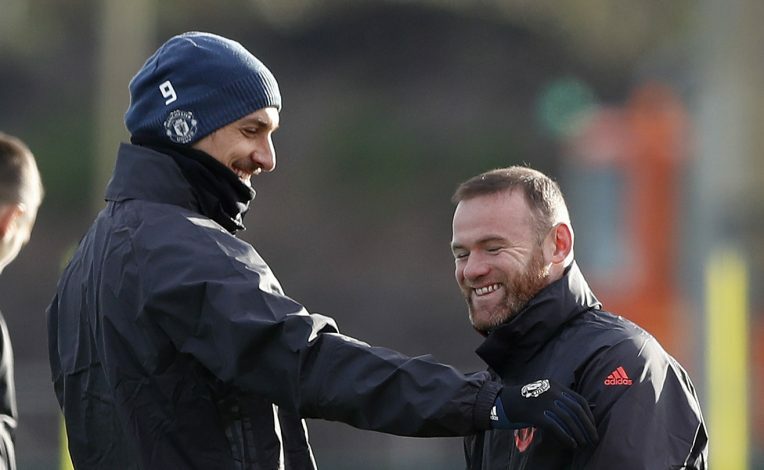 According to trusted journalist Gianluca Di Marzio, both Zlatan and United ‘have been working on a new contract,’ and once the Swedish star returns from what looked like a career-ending injury, Mourinho could offer Ibrahimovic a way back into his line-up at Old Trafford. Speaking to Sport Mediaset before the UEFA Super Cup clash, the Portuguese manager stated that the 35-year-old striker could possibly stay at the Theatre Of Dreams. Mourinho also commented on his contribution to what club has achieved last season. The ex-Sweden captain had a tremendous campaign with United last term, wherein he netted 28 goals before suffering the critical knee injury.